As the popularity of ceramic tiles have waxed and waned over the years, people have looked for various ways to differentiate their home from others. Metal wall tiles are robust and striking. They come in various styles, molds, and colors. This versatility is highly sought after by leading interior designers. 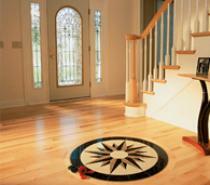 Decorative accents enhance your projects design scheme. They range from decorative cast metal pieces to travertine and glass liners and borders that bring backsplashes, shower walls, and other applications to life. Decorative accents are an inexpensive way to add a custom feel to your tile project by adding depth and warmth to an otherwise flat natural stone or porcelain decor. When it comes to finding the right bronze metal tile for your kitchen backsplash, bathroom, or entryway remodeling project, Westminster has one of the most popular and versatile bronze tile design collections on the market today. With bronze tile designs ranging from convention to contemporary, Westminster tiles are always the affordable choice for those looking to uniquely personalize the interior of their homes. Metal wall tiles are excellent accents or primary centerpieces in any environment. However, knowing what styles and types to pick can be time intensive. SD Flooring Center & Design offers copper to stainless steel, patina to bronze and zinc. 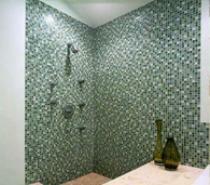 It is important to know your options when looking to buy metal wall tiles. When it comes to finding the right metal tile for your kitchen backsplash, bathroom, or entryway remodeling project, SD Flooring Center & Design has one of the most popular and versatile Pewter tile design collections in San Diego today. With Pewter tile designs ranging from convention to contemporary, SD Flooring Center & Design has tiles that are always the affordable choice for those looking to uniquely personalize the interior of their homes. SD Flooring Center & Design sells a wide variety of custom hand-painted and pressed metal accent tiles. We can take just about any image and transform it into a work of art. From stunning landscapes, to your favorite fruit, or even a profile image of your beloved pet – we can do it all. Visit one of our showrooms today to learn more about this type of product from one of our expert designers – depending on the design, we can offer turnaround times as low as two weeks for your project. Turn your space into a masterpiece. Offering a spectrum of natural stones, from the soft, subtle hues of travertine to the casual warmth of multi-stoned slate and the polished elegance of black and white marble, we can provide a tapestry of colors, shapes and textures to create a beautiful backdrop for living. 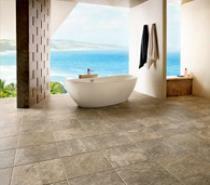 Natural stone tile is available in almost as many styles as clay tile and have become the hallmarks of formal interiors. If you’ve ever admired the beauty of a stone fireplace, you can begin to appreciate the beauty this type of look can bring to your living space.